In the world of materials research, thin films serve many different purposes. 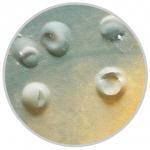 They can be protective films to preserve some other substrate or building material. They can be conductive or insulating films that may be used for devices where directing electron transport is the goal. They may be membranes designed to pass some species and bar others. They may be designed to change characteristics under certain conditions. Whether it is a corrosion preventing paint on the Eiffel Tower or Golden Gate Bridge, or an enzyme embedded monolayer on an electrode, films and coatings serve critical functions in science and industry. Due to the overwhelming number of uses for thin films and coatings, a wide variety of testing is available for distinguishing characteristics and analysis. Electrochemical characterization can be done with DC and AC techniques, but the most powerful tool is the AC electrochemical impedance spectroscopy (EIS).